We are pleased that Dr Natasha Kushlani now works 2 days per week in providing orthodontic services including Invisible Braces at My Choice Dental. Dr Ravin Patel who has acquired Diploma in Implantology, also works regularly at the clinic. Dr Patel provides the first Implant at reduced rate and also undertakes surgery / bridges as part of his speciality. My Choice Dental is located within The Medical Precinct. 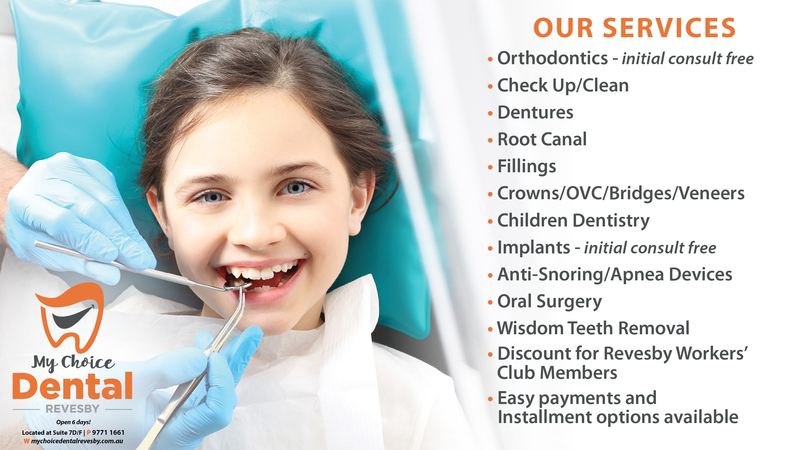 dental services all under one roof. and accepts all Health Fund Members.